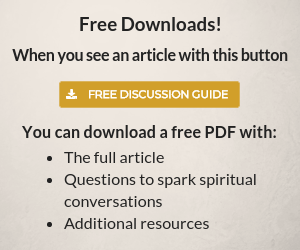 How do you leave a spiritual legacy? Earlier this year, the mother of a friend of mine passed away. My friend received a couple of her mother’s Bibles as keepsakes. One was the Bible her mother had received when she was confirmed. The other was the Bible her mother had used as an adult. 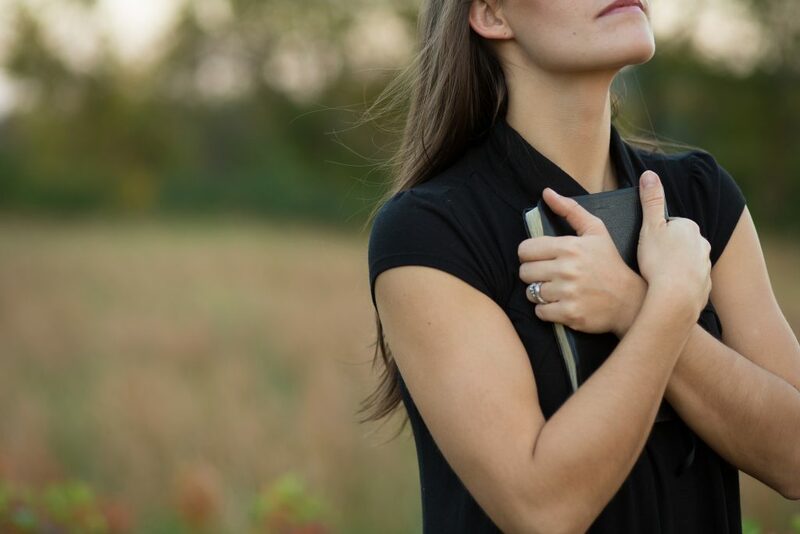 My friend cherishes these Bibles, but she finds herself wishing her mother had written more in them: highlights or notes—anything that pointed her to the verses that meant the most to her mother. I will open my mouth with a parable; I will utter hidden things, things from of old— things we have heard and known, things our ancestors have told us. He decreed statutes for Jacob and established the law in Israel, which he commanded our ancestors to teach their children, so the next generation would know them, even the children yet to be born, and they in turn would tell their children. Every parent is a missionary, and our mission field is our children. God’s plan, even in Old Testament times, was for parents to pass on the faith to their children and their children’s children. This happens in numerous concrete ways over the years of our children’s lives, and one way is through a Legacy Bible. And in fact, if you think about it, the Bible itself is already a legacy. It tells the story of God’s saving work for the people of Israel, and how that spread to the whole world. In truth, the Bible is the legacy we ourselves have received from our spiritual ancestors. So when we add our own notes to the Bible, we are adding to the legacy that started long before us and will continue long after. Our own legacy Bible marks our part in God’s bigger story. Include historical notes and word definitions that especially matter to you in various Bible passages Remember the issues that God has put on your heart. For example, my friend sponsors two children through Compassion International. 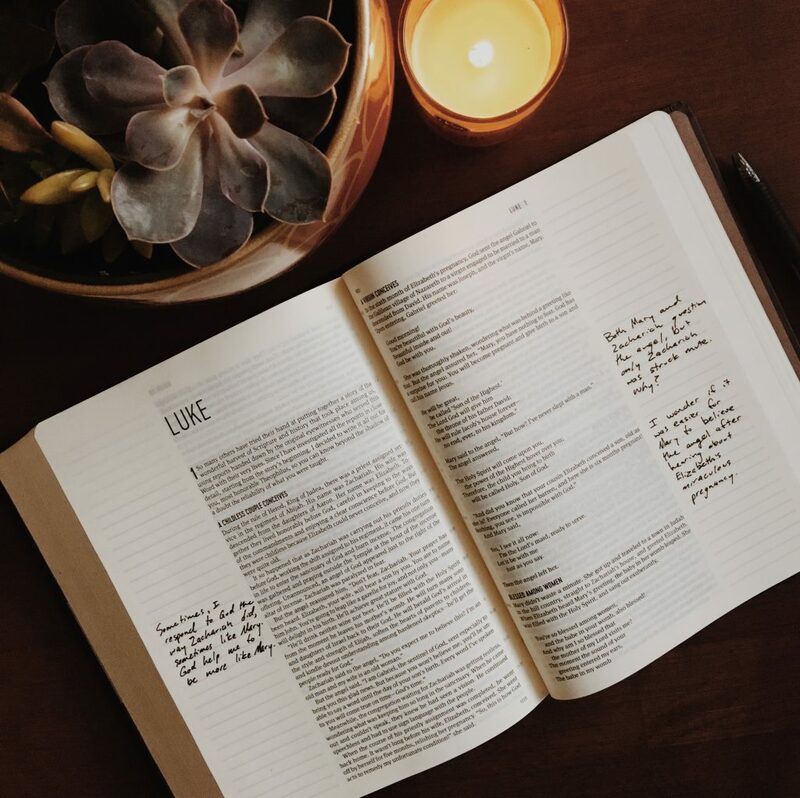 As my friend talked about her desire for a legacy Bible, I imagined having a Bible during my children’s growing-up years that they could see me writing in, things I want them to know now and keep with them and pass on to their children. 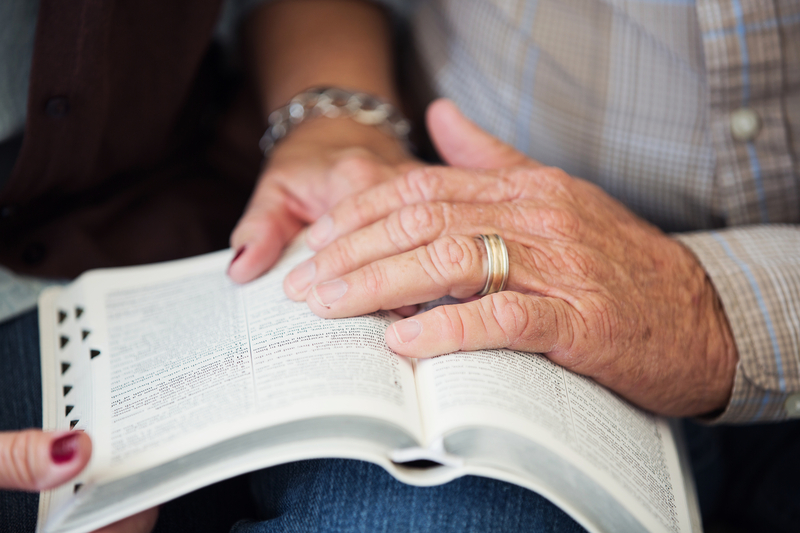 We could talk about the things I was writing in the Bible, and that would be an opportunity for a teachable moment, a natural time when my children could get the message that the Bible is the most important book in our lives. Most Bibles don’t have enough white space in the margins to write so much, but my friend has zeroed in on a version with extra wide margins. Like everyone, I wonder, What will I pass on to the generations to come? When the books I’ve written are out of print and forgotten, I pray that my daughters will have a lasting legacy of faith. But I can do more than wonder about it. I can take steps and make choices about how to pass on that legacy. If you’re like me, and you don’t know where to start, a legacy Bible can be a great way to begin creating today something that will last. Karen Lee-Thorp was a senior editor at NavPress for many years and series editor for the LifeChange Bible study series. She is now a freelance writer living in California, with her husband and their two daughters. 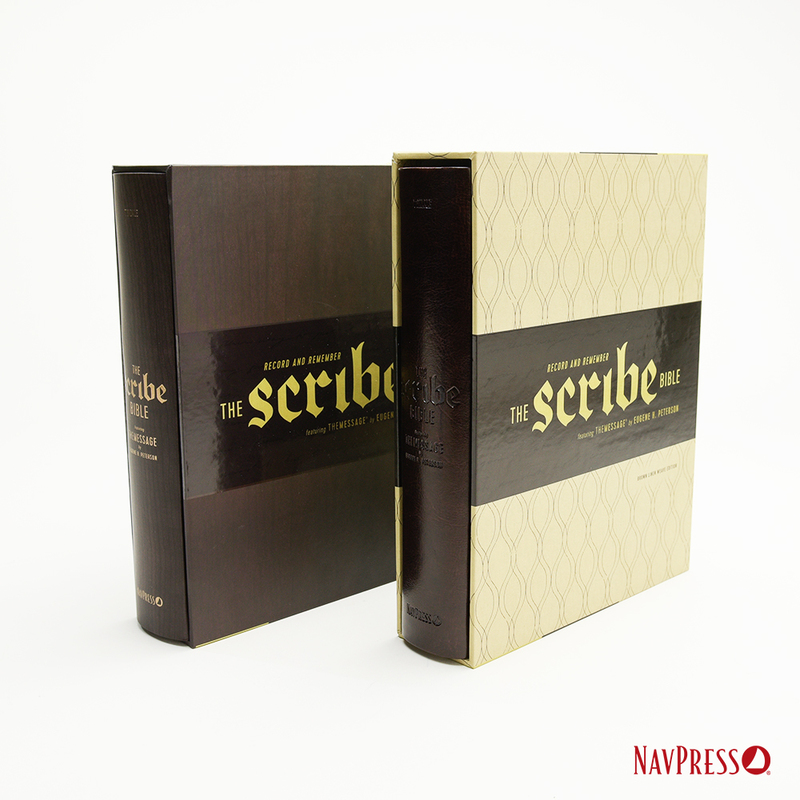 Published by NavPress, The Scribe Bible, a wide margin journaling Bible, is perfect for recording God’s faithfulness in your life. Pass on the faith to your children and your children’s children. Create a Legacy Bible and show them that the Bible is the most important book in our lives. While I like the concept, I have almost never written directly in my Bible. I am an inveterate underliner, highlighter, star-er in other books I read, so why not my Bible? Because I so heavily annotate my reading. In even more prosaic books that I happen to read a second time, I have discovered that I have totally different points that I want to emphasize. How much more with the Bible; everytime I read passages, I find different insights, encouragements, and admonitions. Soon I think I’d end up having EVERY word and phrase marked in some way, detracting from my focus on the Word itself. So I hope to leave my “spiritual legacy” with some separate notebooks and journals. For some, marking their Bibles may work, but my unmarked Bible isn’t a sign of not reading it thoroughly. I believe that passing on a spiritual legacy does not need to happen after we “pass on.” When my son was in junior high, I was studying Proverbs. Its wisdom and the phrase “my son” touched me so much that I found a beautifully bound copy of that single book. As I read through it, thinking of my son, I not only highlighted verses but wrote notes to him in the margins. I gave it to him as a high school graduation present. I doubt he read it at all in college and wondered if he had even kept it. But a number of years later, when he and his wife’s Bible study group were doing Proverbs, he evidently pulled it out, used and shared it and then took the time to let me know how much it meant to him. Now that he has a son of his own, I wonder if he will add his wisdom to the book and pass it to another generation, continuing a living spiritual legacy. I have Bibles…heavily noted…from my mother and my dad. We also have one of my husband’s grandfather’s Bibles. He was a pastor, and cousins have asked for insights from his notes. The only notes are the dates he preached from that passage and the name of the church. They and we are disappointed that he didn’t leave us these insights. I start a new Bible whenever I finish an old one, and all are heavily noted and marked with insights from that period in my life. Cheaper Bibles have sturdier pages to write on, so many are cover-less. I think this is a wonderful idea. With the desire that our children could truly understand the value of the Word of God for their lives, when they graduated from high school I presented them each with a hand-written New Testament Bible. They both went on to attend Bible college. As I had received so much from being into the Word myself, I decided while they studied the Word, that I would continue to write it…so I hand-wrote the Old Testament for each of them. What a blessing it was for me to be able to present them with their own complete hand-written Bibles at the Baccalaureate of their graduations. God continues to be faithful to our family. Both our children are now married with families of their own, and both are in full-time ministry. Now in turn, they are modeling their devotion and service to the Lord before their own children…this is how we have left a Spiritual legacy for our future generations.